Q. 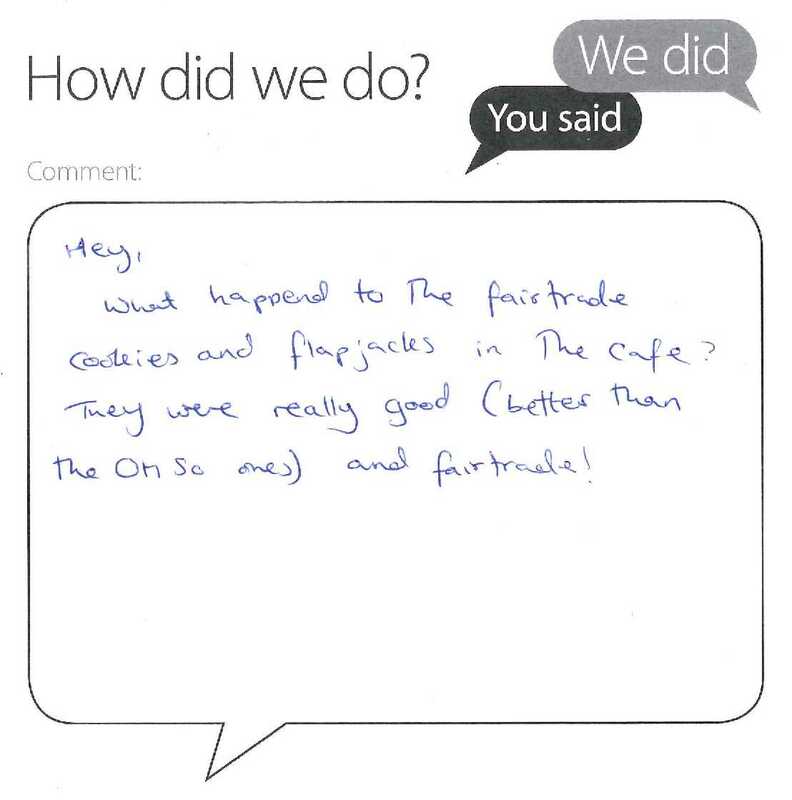 What happened to the Fairtrade cookies in the café? I have passed your comments about the Library Café on to the relevant manager in Residential and Business Services (RBS). Colleagues in RBS are responsible for managing the café and will be in touch shortly. In the meantime please do not hesitate to get back to me with any further feedback.